Shop Hosa DTF805 Balanced Snake XLR3F to DB25 from AMS and enjoy Fast & Free Shipping. The Hosa DTF805 8 channel audio breakout snake is one of the most widely used in home and professional studios. 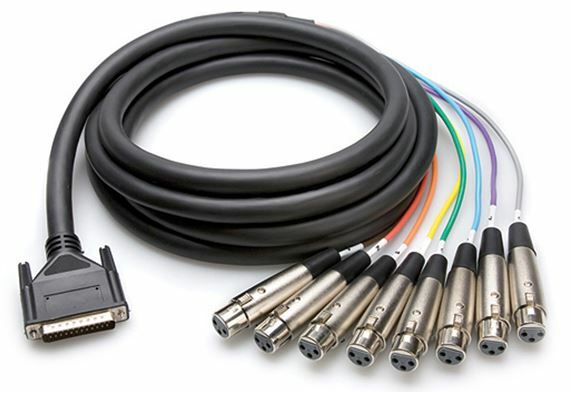 Featuring 25-pin D-Sub connection to 8 XLR Female connectors. For use with many music and recording devices. Good cost vs. performance Hosa DB25 cable. The connections are secure, but the XLR connections aren't close to neutrik. It allows me to use my Octopre as an ADAT bridge to connect 8 other preamps into my Digi 002. It's pretty self explanatory. Either you need it or you don't. It was fairly inexpensive and it works.